Join the 3rd Annual NCRunners Eastern Tour! I first came up with the idea of doing a meet tour of Eastern North Carolina about 5 years ago, in response to the lack of major invitationals, automatic timing, and meet coverage out beyond I-95. It took a while to get the idea off the ground, but it was a success right away: 39 school participated in three meets the first year, and that number rose to 53 teams over four meets last year. We have another 4 meet tour scheduled this year, starting in two weeks, and we hope to draw the largest number of schools yet! With the addition of a date in Elizabeth City, we're reaching more of Eastern North Carolina than ever before. The goal, as always, is to bring competition and exposure to an area of the state where budgets have been tight and resources scarce. Bring Your Meet to Ours! Already have a meet scheduled? Is your conference a stickler for regular-season meets? No problem: bring all the teams in your originally-scheduled meet to our meet, and we will score them separately for reporting to your conference! We can score any separate combination within the overall meet: dual meets, tri meets, quad meets, whatever you need. Why Come to An NCRunners Eastern Tour Meet? Start your season off with a bang by getting strong competition for ALL of your athletes. We allow unlimited entries in all events, so you can bring everyone on the squad and be sure that heats will be filled with runners, jumpers, and throwers of comparable ability. The results from all four Eastern Tour meets will be publicized on the website and through Twitter, and the meets are also an opportunity to get photos and videos of your athletes in competition. 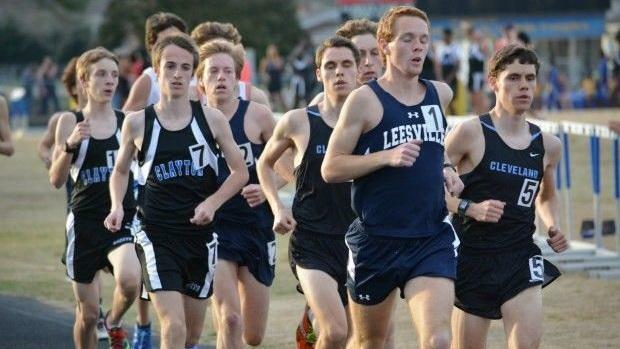 NCRunners webmaster Jason Creasy will be on-site for the three weekday meets, and I'll be there for all foud. Performances from the East are sometimes overlooked or downgraded because the vast majority of the meets are hand timed, and hand timing is always highly suspect. Rhodes Race Timing generously provides the timing for the Tour meets at no cost other than travel expenses, and that means teams can get unimpeachable qualifying marks that will hold up when they go to regionals. Thanks to our wonderful host schools and the generosity of our timer, we can keep our costs down. Where else can you get a full invitational experience for $25 per school, covering both genders? !